ROCOL have a long-held reputation for helping our customers solve technical challenges. ROCOL’s product are formulated to meet our customers’ needs and provide advantages over other solutions. 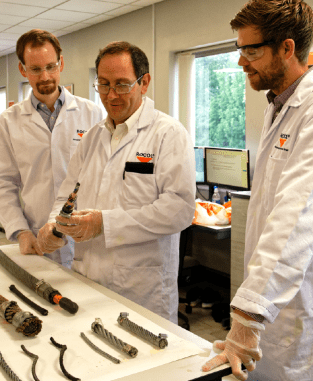 Integral to this approach is working closely with customers to optimise the performance and efficiency of our products in their systems: The right product, used effectively. Drawing on wide experience and the latest technological developments, ROCOL’s multi-disciplinary team take an integrated view of our products and their applications: Having a combined engineering, chemical and process view of the technical work we do. ROCOL are able to provide industry-leading innovation and high-level technical support from our advanced lab and via our engineering teams. 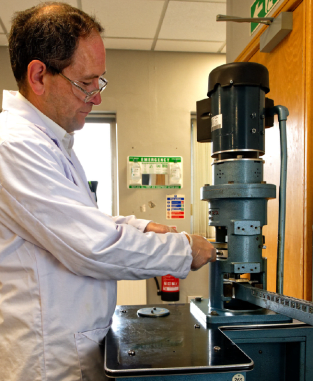 We test to internationally recognised standard methods, and work closely with our customers to ensure that our products meet their needs. ROCOL keep high standards of product compliance for the industries we serve. We work with international food standards bodies, low environmental impact schemes like the EU Ecolabel, aerospace OEMs, defence standard authorities, and many others: All to ensure that our products will both perform exceptionally and give our customers assurance. If you can’t find what you’re looking for then please do not hesitate to contact us, we’ll be glad to help. Copyright © ROCOL 2019 - All rights reserved.